Rather than studying for my exercise science final exam yesterday, I made these spicy scotch eggs instead. 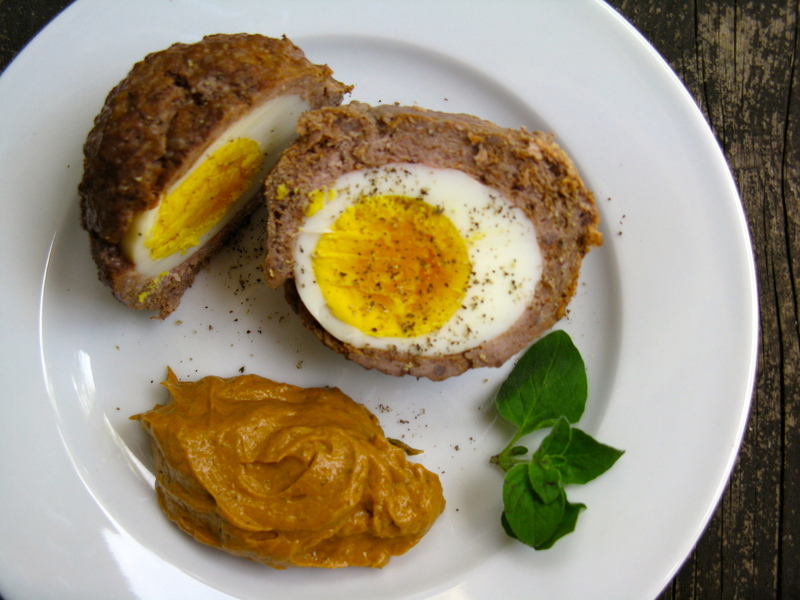 I’ve actually been wanting to try scotch eggs for some time, and it seemed like a great distraction from reality to do so yesterday. I also did a million other things and then finally started studying legitimately around 8 p.m. Not the best plan, I know, but I have so much on my mind. And what’s great, is that I took the exam this morning and am DONE! I did the best that I could and I know I passed, so it is what it is. Now, onto my wedding weekend and celebration! Wahoo! My family arrives late tonight and I can’t wait. There will be lots of glass raising and clinking this weekend! 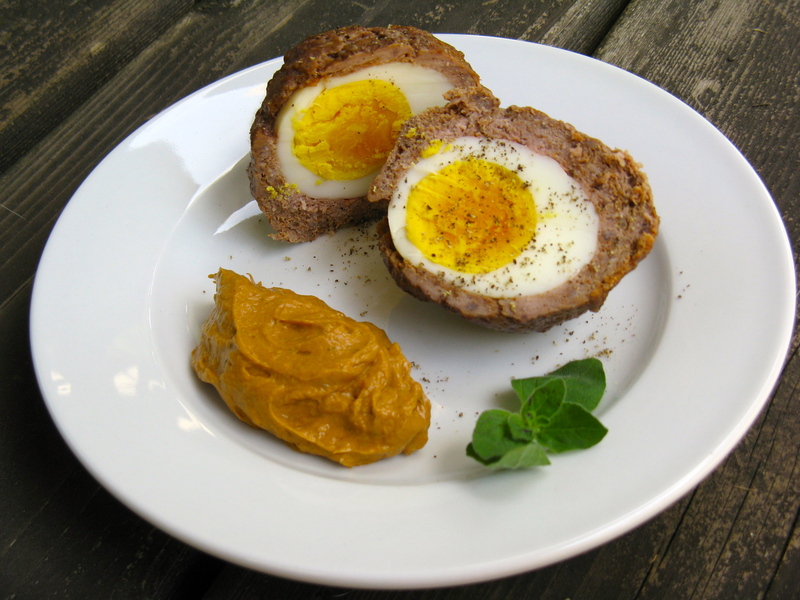 Meanwhile, go make scotch eggs and dip them in this delicious, fatty sauce. Preheat oven to 375 degrees. Meanwhile, mix meat, spices and vinegar together in a large bowl. Then, form into 5 equal patties. Wrap each patty around a hard-boiled egg and make sure to cover it completely. Place on a baking sheet lined with foil and bake for 20-25 minutes. Serve with creamy bacon sauce. Mix together and store in a jar or spice container. In a small blender or food processor (I used my Ninja), combine all the ingredients except for the bacon grease. Once smooth, slowly pour in the bacon grease and blend. Adjust seasonings and creaminess as needed. Also, if the bacon flavor isn’t strong enough, feel free to add a bit more melted bacon grease.